We provide 5636 rented homes across the Scottish Borders and have around 700 homes becoming available to rent each year, consisting of a mix of property type and size – ranging from studio flats to 5 bedroom houses. We offer good quality homes to let at affordable rents and are committed to providing high quality services that meet the needs and expectations of our Tenants. Not only this, but you will also get 4 rent free weeks a year and there is no deposit to pay! Applying for one of our homes is easy, simply click here to find out how. If you rent from us, you will normally have a secure tenancy which offers you strong occupancy rights, as well as rights to repair and to pass your tenancy on to other members of your household. In certain circumstances, we may offer a Short Scottish Secure Tenancy with more limited rights. We strongly encourage our Tenants to be actively involved in the management of their homes and the shaping of our services. Our skilled and experienced Board of Management is democratically elected to run SBHA and we offer our Tenants the opportunity to become shareholding members of SBHA. ongoing support to help you manage your tenancy. 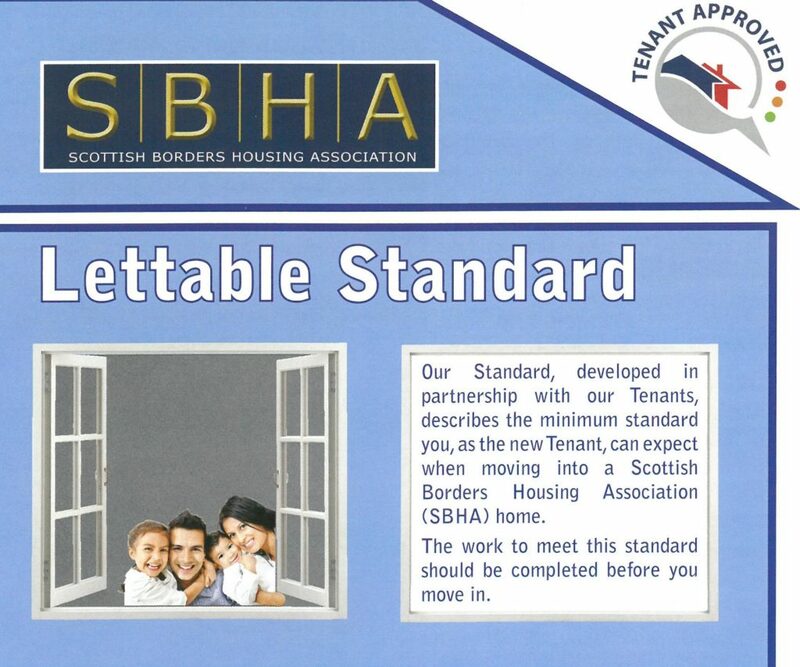 All of our properties will meet our lettable standard, which was developed with our Tenants. To find out more, click on the link below.